An Aberdeenshire road has been closed due to adverse weather conditions. Adverse weather has resulted in the B947 Fettercairn to Banchory road being shut. A Fettercairn hotel and restaurant is to close its doors in January for the final time after facing "extremely challenging" financial circumstances. Politicians have hailed the return of trade and business to an Aberdeenshire community blighted by limited access as repairs were made to a historic road arch. Two cars collided on the Banchory to Fettercairn section of the B947 earlier this evening. The road leading under a listed Romanesque arch in the centre of an Aberdeenshire village will be redesigned in an effort to improve safety. The unusual sight of vintage tractors playing football helped the Fettercairn Show pull in one of the largest crowds in its 200-year history. A group of dedicated volunteers took to a north-east beach yesterday to clear it of all rubbish in sight. Police are hunting for a couple who were kicked out of a north-east hotel just hours before its entire day’s takings were stolen. Police are appealing for information following a report of a break-in and theft at a hotel in Aberdeenshire. A North-east road has closed due to snow. Police are appealing for information following a theft by housebreaking in Fettercairn last week. An Aberdeenshire road has been closed as snow returns to blast the north-east once more. Two Aberdeenshire teenage brothers have climbed Mount Kilimanjaro to raise money for a charity set up in memory of a kayaker they knew who died after going missing at sea. Plans to transform a derelict Aberdeenshire piggery into a holiday lodge development have been submitted to the council. Businesses could lose out on thousands of pounds as a popular north-east tourist road closes for two weeks - with a 47 mile detour. The sister of tragic kayaker, Dominic Jackson, who died last month, has spoken of the overwhelming kindness and generosity she has received since arriving in the north-east - and talked about the poignant last photos found on his phone. A new exhibition of contemporary artwork is travelling around Aberdeenshire this week. Police have written to a north-east community to thank them for their help during the search for a missing kayaker. The sister of Aberdeenshire kayaker, Dominic Jackson, who died at sea has smashed her initial fundraising target just weeks after she started. The family of a kayaker, found dead after setting off from Portsoy last weekend, have spoken of their heartbreak at his loss and expressed their hope nobody else suffers the same fate. The family of a kayaker reported missing off the north-east coast last night said they hoped his "adventurous spirt" would keep him safe. The family of Dominic Jackson have appealed for information as searches for the missing kayaker continue. Could this be the end of winter weather shutting the Cairn O’Mount road? Aberdeenshire Council may upgrade the status of a busy road that is routinely closed in freezing weather to ensure it is treated more quickly. The road which passes underneath a famous Victorian archway in an Aberdeenshire town will be realigned for a second time to prevent caravans getting stuck. A second round of public consultations will take place next week, outlining revised proposals for a new wind farm in Aberdeenshire. Plans to rebuild a rural bridge in Aberdeenshire, after it fell victim to the floods of Storm Frank, will go before north-east councillors today. 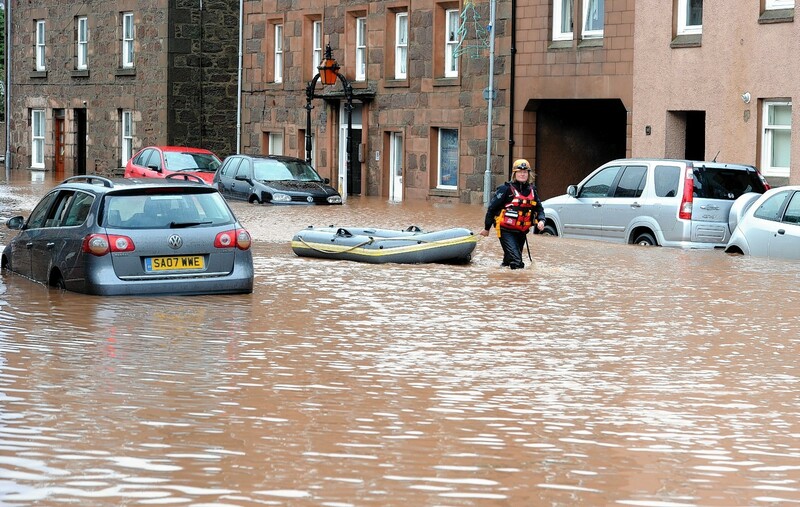 Councillors have called for the process of establishing much-needed flood defences in Aberdeenshire to be sped up. A councillor is calling for an urgent review of the infrastructure around the iconic gateway to an Aberdeenshire village at the foot of the Grampian mountains.